Experts at Queen’s have designed a bendable and organic alternative to how medical implants are powered. Currently, devices such as pacemakers and defibrillators are fitted with rigid and metal based batteries, which can cause patient discomfort. 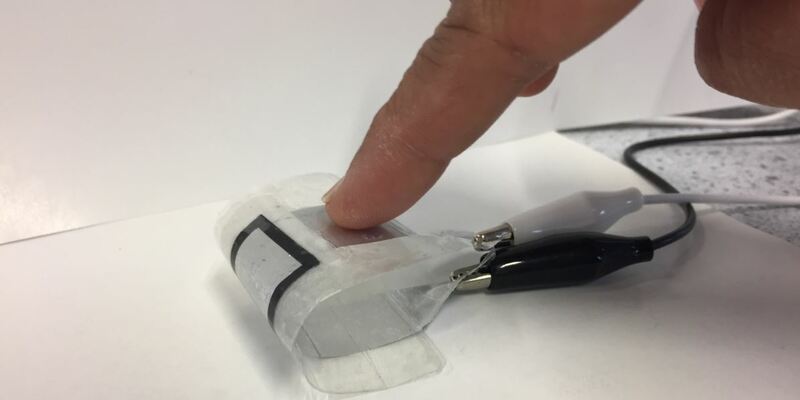 Dr Geetha Srinivasan and a team of researchers from Queen's University Ionic Liquid Laboratories (QUILL) Research Centre, have developed a ‘flexible supercapacitor’ with a longer cycle life, which could power body sensors. The charge in the new battery is expected to last three times as long as in their conventional alternatives. It can also be easily decomposed without incurring the major costs associated with recycling or disposing off metal based batteries, so it will have environmental benefits. And the new Queen’s technology could also have a non-medical application in foldable phones or laptops of the future, the designs of which are presently restricted by rigid batteries. Dr Srinivasan explained: “In modern society, we all increasingly depend on portable electronics such as smartphones and laptops in our everyday lives and this trend has spread to other important areas such as healthcare devices. Dr Srinivasan added: “At Queen’s University Belfast we have designed a flexible energy storage device, which consists of conducting polymer – biopolymer composites as durable electrodes and ionic liquids as safer electrolytes. Subject to adequate research and development funding it is expected that the devices could easily be commercialised and could be powering phones, laptops or similar devices within the next five years. Media inquiries to Communications Office at Queen's University Belfast on tel: 028 9097 5292.